Ask not what GMC can do for you. Useful information for GMCites and others wishing to study or work abroad. This is the unofficial webpage of Grant Medical College. It has been on the net continuously since June 2002. The purpose of the website is to give GMC some presence on the web and to acquaint others of it's proud history. The worldwide web provides a unique channel to disseminate some pictures, information and memorabilia about our alma mater. 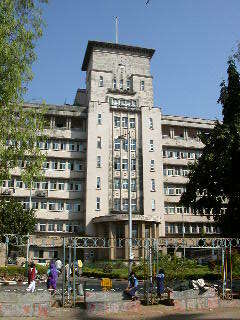 The Grant Medical College is one of the most prestigious medical institutions in India. The college accepts 200 students per year for the undergraduate (MBBS) course and offers training in the entire gamut of postgraduate as well as sub/super-specialty courses. 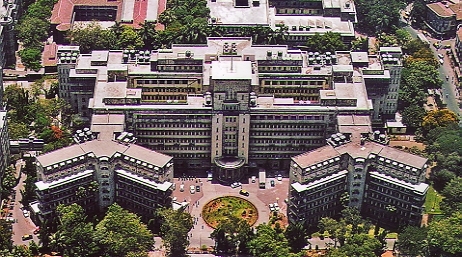 The college occupies a large green spacious campus in Byculla with it's own unique old-world charm. Many campus buildings were built before 1940 and the oldest dates to c.1845. The Sir Jamsetjee Jeejebhoy Group of Hospitals encompasses the J. J. Hospital campus hospitals (including the Cowasji Jehangir Ophthalmic Institute, Byramjee Jeejeebhoy Children's Hospital and many others) St. George's Hospital, G. T. Hospital, and Cama and Albless Hospital. 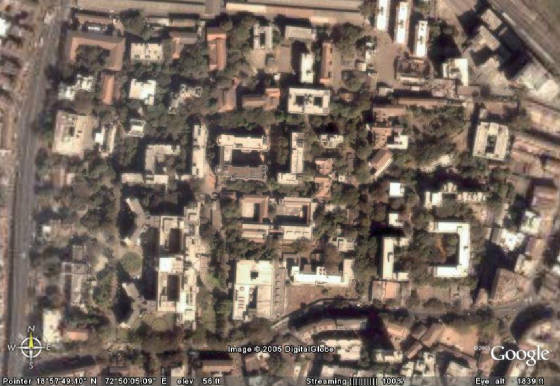 All these hospitals are in South and South Central Mumbai and students rotate through them during their training. The clinical exposure to patients provided by these large and busy hospitals is a crucial aspect of the training of medical students and residents. JJ hospital has 1400 beds, GT hospital has 521 beds and Cama hospital has 367 beds. Many of Bombay's most well-regarded physicians and surgeons have trained at GMC and the institution continues to inspire fierce loyalty amongst it's alumni. A mega-reunion of all alumni (GMC-ICON 2014) took place in February 2014 to celebrate the 170th year of the college. In the age of Facebook and Twitter, many photos are shared and alumni reunion events organized via the new social media and GMC is no different. The online footprint of GMC continues to grow. Munnabhai MB,BS and GMC: A smashing location! This counter became operational on July 9th 2004 and reached 20,000 hits in 2015 before a reset and started again at 0. This unofficial site is the work of a single alumnus working alone.